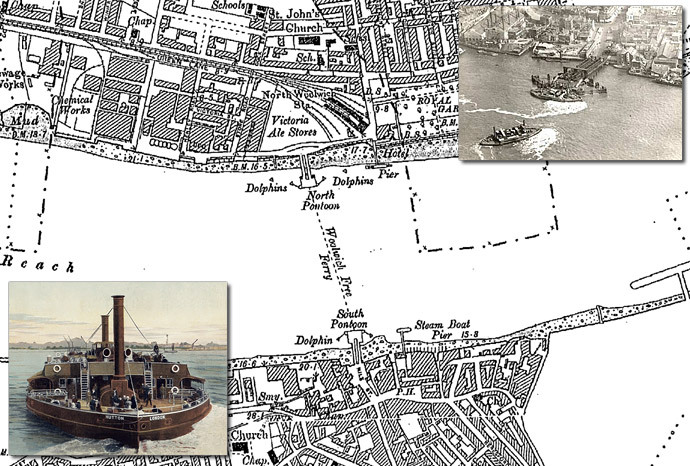 Zeppelin Raids – The birth of the Blitz. 2015 marks the 100th anniversary of the first Zeppelin air raids on the UK. On the 19th January 1915 two Zeppelin naval airships, 190 metres long, were heading for Humberside but were blown further down the east coast by strong gusts. They were forced to switch their attacks to the coastal towns of Norfolk. 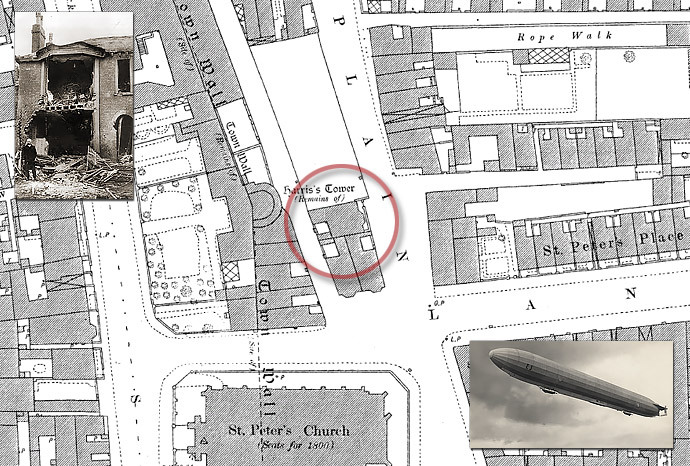 Zeppelins L3 and L4 crossed the coast of East Anglia, north of Great Yarmouth. Zeppelin L4 flew on towards Kings Lynn while Zeppelin L3, piloted by Kaptain Lt. Hans Fritz, turned back towards Great Yarmouth. The first bomb dropped by L3 was an incendiary which landed in a waterlogged field in Little Ormesby, the second fell on a lawn in Albermarle Road near Wellesley. The first explosive to be dropped struck the pavement in Crown Road, but failed to explode, but the fourth and most destructive of the bombs to land on Great Yarmouth fell in St Peter’s Plain and burst with devasstating effect instantly killing Martha Taylor and shoemaker Sam Smith, while two more people were injured. By the end of the night two more people had been killed in Kings Lynn. By the end of the First World War Zeppelin’s and other airships made about 51 bombing raids on England, killing 557 and injured another 1,358 people. More than 5,000 bombs were dropped on towns across Britain, causing £1.5 million in damage. 84 airships in all took part, of which 30 were lost, either shot down or lost in accidents. At the start of the war there were few weapons capable of combatting the Zeppelin threat. Conventional bullets would pass harmlessly through the aluminium frame and gas-bags. Not until the invention of incendiary bullets was there an effective way of bringing the Zeppelins down. This first raid marked a change in the face of conflict, with the bombings serving as a forewarning of what was to come during the Blitz in the Second World War. Old Sarum, in Wiltshire, was a parliamentary constituency in England from 1295 to 1832. The constituency was on the site of what had been the original settlement of Salisbury, known as Old Sarum. 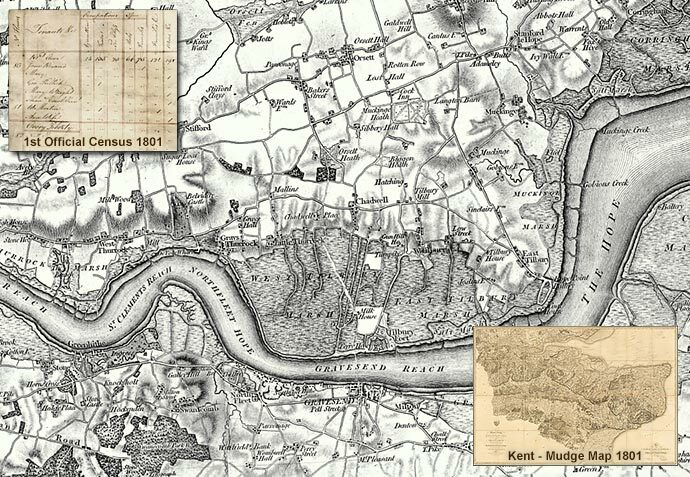 It was a so-called ‘rotten borough’ (or ‘pocket borough’) with an extremely small electorate that was consequently vastly over-represented and could be used by a patron to gain undue influence. Rotten boroughs were one of the curiosities of the British electoral system, where fathers passed on constituencies (and the power as an MP that went with this) to their sons as if they were personal property. In many such boroughs the very few electors could not vote for whom they truly wanted due to the lack of a secret ballot or simply due to the lack of a candidate desirable to their political philosophy. The term rotten borough came into use in the 18th century. The word “rotten” had the connotation of corruption as well as that of long-term decline. Rotten boroughs had very few voters. For example, Old Sarum, in Wiltshire, only had three houses and a population of seven people. It was a possession of the Pitt family from the mid-17th century to 1802, and one of its Members of Parliament was Prime Minister William Pitt the Elder. In 1802 the Pitt family sold it for £60,000, even though the land and manorial rights were worth £700 a year at most. With just a few individuals with the vote and no secret ballot, it was easy for candidates to buy their way to victory. Indications of prehistoric settlement at Old Sarum have been discovered from as early as 3000 bc. An was erected around 400 bc, The site continued to be occupied during the Roman period. The Saxons took the British fort in the 6th century and later used it as a stronghold against marauding Vikings. Later the Normans constructed a motte and bailey castle, a stone curtain wall, and a great cathedral. A royal palace was built within the castle for King Henry I and was subsequently used by Plantagenet monarchs. This heyday of the settlement lasted for around 300 years. By the early 13th century the population had moved to New Sarum at the foot of the hill, now known as the cathedral city of Salisbury and the long neglected castle was finally abandoned by Edward II in 1322. Simply enter a postcode, or place name, follow the instruction and download your map in minutes.